In Australia five cents is called, umm, five cents. Ten cents is… surprise surprise… ten cents. Pennies, dimes and nickels came as no surprise to me. I’d heard those terms for years on TV and in my travels, but loonies and toonies were new ones! 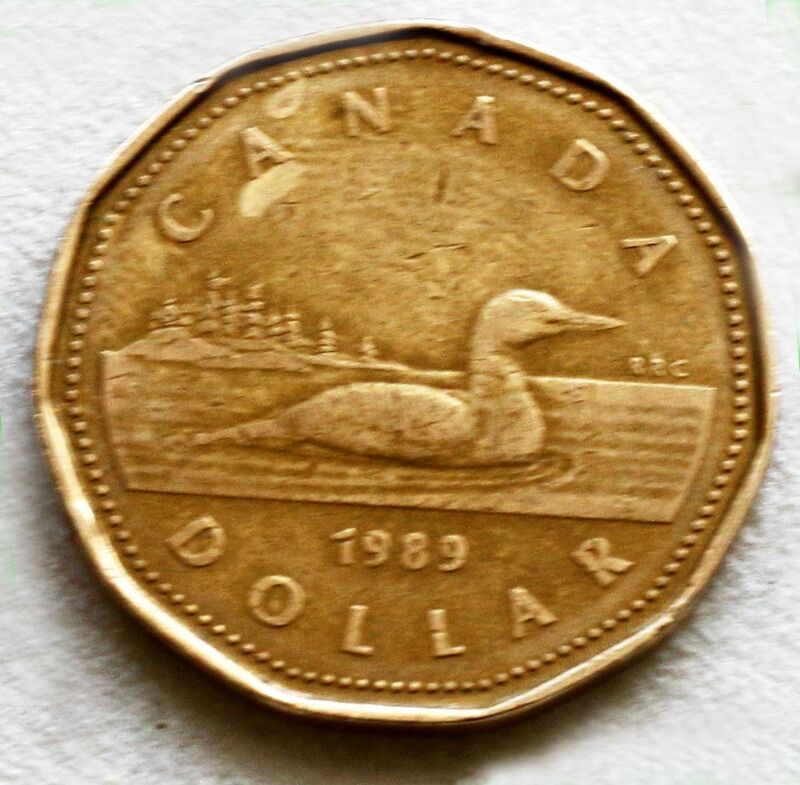 The one dollar coin is affectionately called a loonie because it features a bird called a loon which is common and well know in Canada. So naturally, the coin became a loonie. 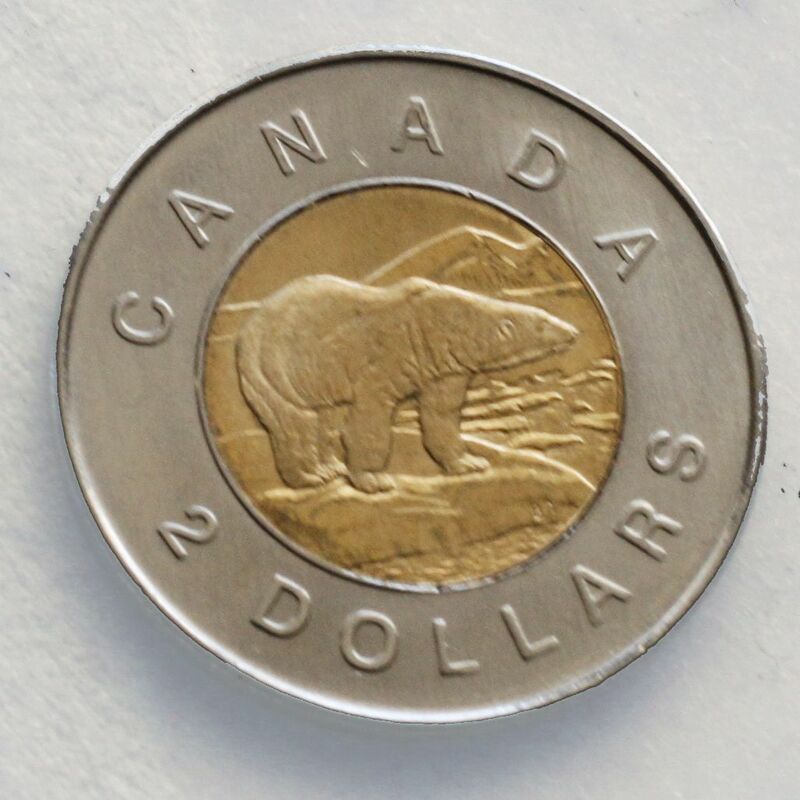 The two dollar coin followed suit with a name that rhymed – the toonie (as you do!!). Rick Mercer, a Canadian political satirist, produced a TV show called Talking to Americans where he hit the streets in US cities and fed them tall stories about things happening in Canada. They believed that the Canadian Parliament House was an igloo made of ice and that Mount Rushmore was going to be mined by Canadians, but they couldn’t quite believe that the Canadian dollar was a loonie. You can see part of the show here. It’s a longish clip (but very funny); you can skip to 7 min 50 seconds to see the loonie bit. I’m off to the loonie bin now – that’s what they call banks! OK, maybe not, but they should! 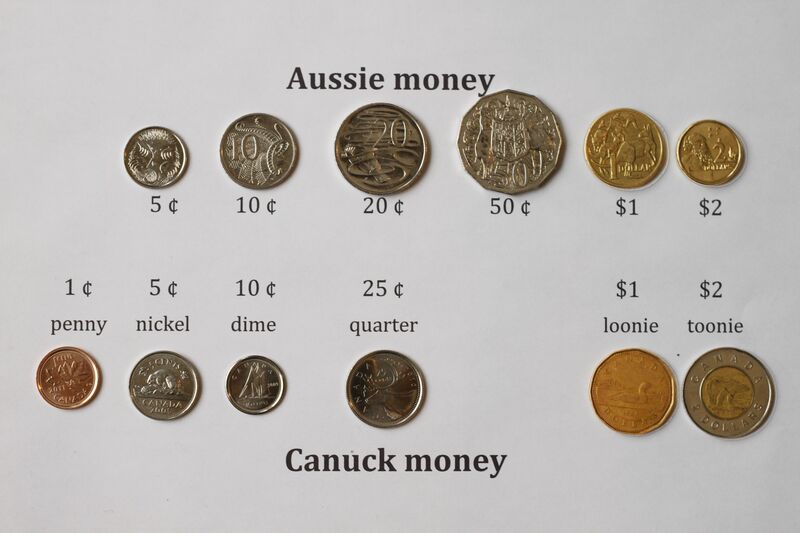 This entry was posted in Language, Money and tagged aussie, australia, australian, canada, canadian, canuck, coins, dollar, loonie, money, photography, rick mercer, talking to americans, toonie, travel. Bookmark the permalink.